Info.cern.ch was the address of the world’s first-ever web site and web server, running on a NeXT computer at CERN. The first web page address was http://info.cern.ch/hypertext/WWW/TheProject.html, which centred on information regarding the WWW project. 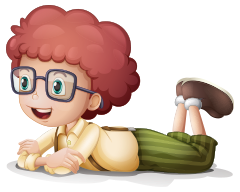 Visitors could learn more about hypertext, technical details for creating their own webpage, and even an explanation on how to search the Web for information. There are no screenshots of this original page and, in any case, changes were made daily to the information available on the page as the WWW project developed. You may find a later copy(1992) on the World Wide Web Consortium website. Of course, the only people who actually had web browser software were Berners-Lee and his colleagues at CERN, so the world at large remained almost entirely ignorant of the momentous event that had just taken place. Gradually installations of web servers and the use of web browsers spread, but it really wasn’t until 1993, when the Mosaic browser was released, that the technology really achieved serious momentum. In 1994, Berners-Lee founded the World Wide Web Consortium (often referred to as “W3C”) at MIT in order to create standards for the web to ensure that different websites would all work the same way. Berners-Lee, now 56, is still the director of the W3C, in addition to several other positions he holds. While there are and surely always will be some deviations from the standards by many websites and browsers, it’s not a stretch to say that the web as we know it would probably not exist if not for the W3C’s guidance. 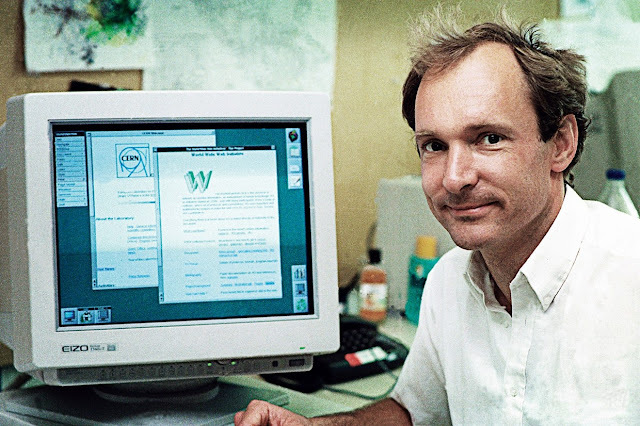 Tim Berners-Lee's NeXT at CERN: The first-ever web server, browser, and editor. It can be hard now, even for many of us who regularly used the Internet before there was a World Wide Web, to remember that there was a time when the two terms weren’t considered nearly synonymous by the general public. Of course, that’s partly because, before the proliferation of websites that followed Mosaic’s release (and for some time thereafter), most members of the general public didn’t have the least idea that the Internet even existed. And it’s nigh-impossible to conceive of just how different the world would be today were it not for the event of twenty years ago today. Heck, you’d probably have to go to comp.wired.geekdad on Usenet to read this blog. So please join us in saying “Happy birthday!” to the World Wide Web! At the rate things change in the world of technology, I can scarcely imagine what it’ll look like when twenty more years have passed. It should be fun finding out. Tim Berners-Lee image: Paul Clarke, via Wikimedia Commons. Computer/desk image: Robert Scoble, via Wikimedia Commons.